Despite the most careful planning, accidents happen, and that is why you need insurance. 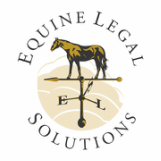 The array of equine insurance options can be intimidating and of the many different types of coverage available, only some choices may be appropriate for you. When evaluating insurance products, consider what risks you have for liability and loss, and then match those risks against the types of coverage available.